The DARE Graduate t-shirt is a great addition to help show you know the DARE skills. 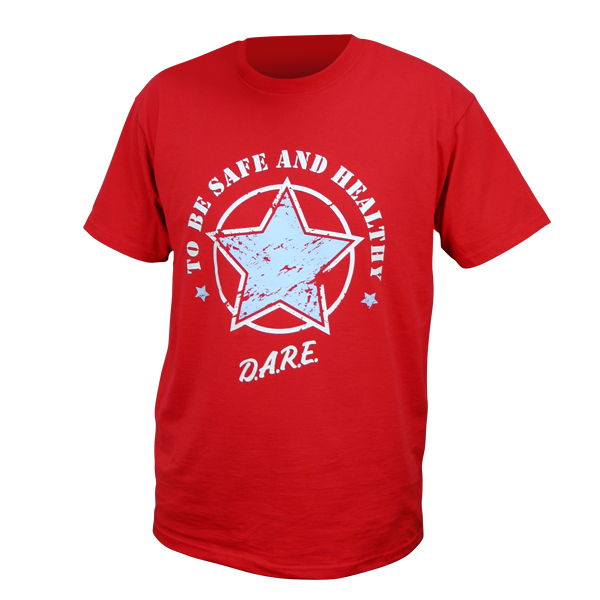 The design showing the DARE Star logo with the message "To be safe and healthy" to the front of the T-shirt. Small Adult, To Fit 35/37"
Medium Adult, To Fit 38/40"
Large Adult, To fit 41/43"